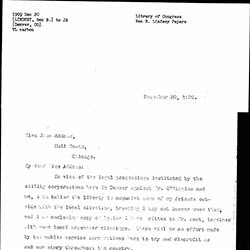 Subject is exactly "legal problems"
Lindsey writes Addams about some trouble he is having with utility corporations in Denver. 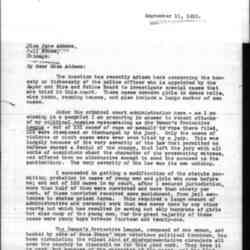 Lindsey writes Addams to explain a campaign to discredit his work to regulate crime against women. 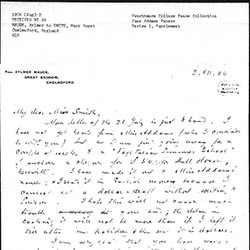 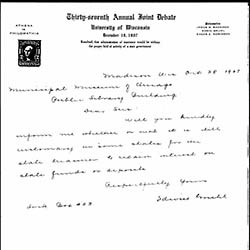 Gruhl requests information from the museum about the state treasurer and state funds. 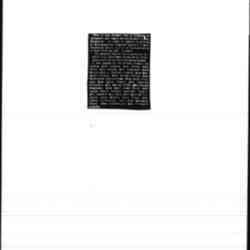 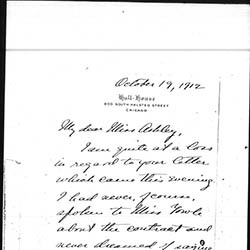 Addams answers Ashley's letter of October 17, claiming that she did not do the things that Ashley alleged. 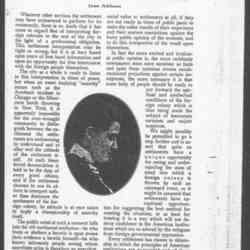 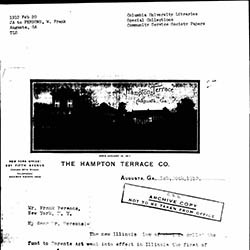 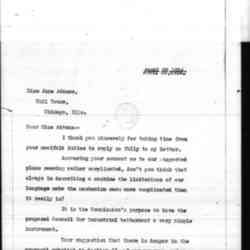 Addams writes Persons about the limitations of a new Illinois law to provide aid for poor parents with children. 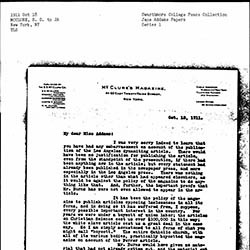 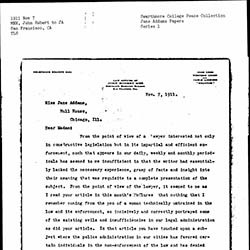 Mee offers a lawyer's perspective on Addams' white slavery article in McClure's Magazine and compliments her grasp of the legislation.